It was Friday night, my friend had convinced me there was a “great” party we needed to check out, in a neighborhood near ours. Our usual drill was sneaking out her bedroom window, either walking somewhere to attend a “great” party, or sneaking her mother’s Pontiac La Mans. We would place it in neutral, pushing it out of the oyster shell driveway, and starting the car when we got it into the street. This was not something I wanted to do, but it was something I had to do, otherwise I would not be a good friend or at least I saw it that way. Growing up long before I should have, whether it was forced upon me or I managed to bring it upon myself, taught me the importance of individual strength. My best friend was beautiful and smart, and I always wanted to be like her. Her mom would give her money, and drop us at the mall for the day. I never had much money to shop, but it was fun to go along. I wore the same jeans almost daily, they had a strawberry patch on the knee that my grandmother had sewn on. I washed them and hung them to dry above the air conditioner at night. My parents were divorced when I was fourteen. I got a job as a sacker at a local grocery store after they divorced, and, at my mom’s suggestion, I lied about my age to get the job. I bought a brand new car at sixteen, and paid for my clothes for school. Unbeknownst to me , the “great” party was actually a surprise birthday party for me. Frankly, I thought the idea of a “Sweet Sixteen” birthday party was quite silly. What was sweet about a someone like me? I had witnessed quite a lot by sixteen, my parents unhappy marriage, my parents’ divorce, my dad drinking too much, and hanging out at the local “Beer Joint”. I had a friend who was pregnant and married because of her pregnancy. I had asked my dad to help me pay for the dress to be in her wedding. He said no, so I worked extra shifts and paid for it myself. If I remember correctly, the child support he paid was around one hundred dollars per month for myself and my brother, this sent a clear message to me. A childhood friend was in a juvenile detention center for selling drugs because his father had died, and another friend had been killed by a drunk driver on his motorcycle in front of my junior high school. They played the Billy Joel song, “Only The Good Die Young” at the funeral. After my parents divorced, I lived with my mother and little brother in my childhood home. My mother’s brother needed a place to live, so he and his family moved into our house around my sixteenth birthday. I gave up my bedroom, and decided to move into an apartment with my 18 year old friend. I had enrolled in a high school that allowed students to work at their own pace. This gave me more time to work, and manage the financial challenges of living away from home. I was a hard worker and saw myself attending college after high school, but knew I would have to figure that out on my own. I learned much about life by the age of sixteen, struggling and surviving, but also about love. I had learned that grief is important, and temporary. That one should take time to allow themselves to feel, and gather what is deep inside and continue moving forward, learning from experiences and being mindful of them. Everyone has a story, my story has taught me the importance of my tenacity and resilience, not allowing the difficult times to define me. Brigette Neal, owner of Brigette Neal Homes and a native Texan, loves the city of San Antonio and it’s rich culture. She is a licensed Broker in Texas and is readily available with a flexible schedule to share her knowledge of North San Antonio and the rest of the city with her clients. She is energetic and loves to work with people. She possesses an enormous commitment to customer service and feels communication is the key in providing such service. With a background in accounting, an attention to detail, and the latest technology, she hopes to provide clients with the best service possible in the San Antonio home market. Brigette, a native Houstonian, has lived in San Antonio since 1986 and has been actively involved in the local community, especially in the Northeast Independent School District. She enjoys reading British literature and loves to travel internationally. 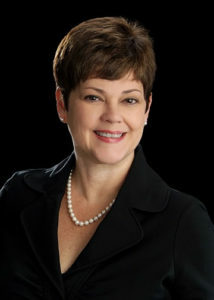 Brigette began her real estate career in 2004, serving on the Realtor Builder and the Equal Opportunity in Housing committees of the San Antonio Board of Realtors. She is a member of the Texas Association of Realtors and the National Association of Realtors. She is also a Graduate of the Realtor Institute, and is certified in At Home With Diversity, a NAR certification program. She serves as a committee member of the Trinity University Women’s Club, providing scholarships to women students. Brigette is married to Dr. Gary Neal, Director of Counseling Services and Health Services at Trinity University and is the mother of two daughters, four granddaughters and one grandson.